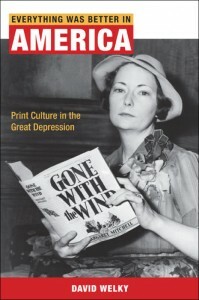 Generally considered a bummer of epic proportions, the Great Depression nonetheless inspired a measure of nostalgia. Americans looked back to a simpler time, of lives unencumbered by food, employment, homes, or arable Great Plains farmland. Liberals celebrated the halcyon days of the New Deal and uber-active government while conservatives rejoiced in a time when everyone but the rich was utterly miserable, as God intended. The University of Illinois Press opens up the Wayback Machine for a trip to that dustiest of times to show the bright side of an era of drought and economic calamity. This eloquent study explores how mainstream print culture shaped and disseminated a message affirming conservative middle-class values and assuring its readers that holding to these values would get them through hard times. Through analysis of the era’s most popular newspaper stories, magazines, and books, David Welky examines how voices both outside and within the media debated the purposes of literature and the meaning of cultural literacy in a mass democracy. His lively discussions touch on topics like the newspaper treatment of the Lindbergh kidnapping, issues of race in coverage of the 1936 Olympic games, domestic dynamics and gender politics in cartoons and magazines, Superman’s evolution from a radical outsider to a spokesman for the people, and the popular consumption Ellery Queen mysteries, Gone with the Wind, and The Good Earth. Welky uncovers the subtle relationship between the messages that mainstream media strategically crafted and those that their target audience wished to hear. 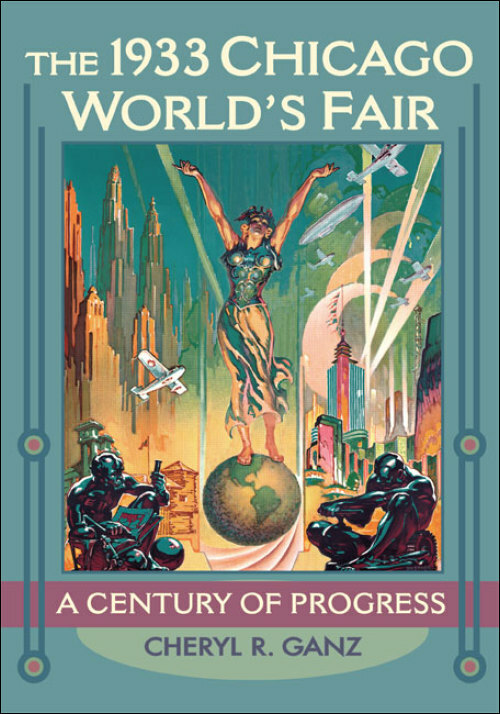 Chicago’s 1933 world’s fair set a new direction for international expositions. Earlier fairs had exhibited technological advances, but Chicago’s fair organizers used the very idea of progress to buoy national optimism during the Depression’s darkest years. In this engaging social and cultural history, Cheryl R. Ganz examines Chicago’s second world’s fair through the lenses of technology, ethnicity, and gender. The book also features eighty-six photographs—nearly half of which are full color—of key locations, exhibits, and people, as well as authentic ticket stubs, postcards, pamphlets, posters, and other items. 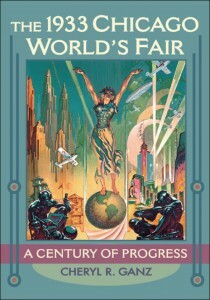 From fan dancers to fan belts, The 1933 Chicago World’s Fair: A Century of Progress offers the compelling, untold stories of fair planners and participants who showcased education, industry, and entertainment to sell optimism during the depths of the Great Depression. This intellectual history chronicles the processes of compromise and negotiation between high and low art, federal and local interests, and the Progressive Era and New Deal. Victoria Grieve examines how intellectual trends in the early twentieth century combined with government forces and structures of the New Deal’s Federal Art Project to redefine American taste in the visual arts. 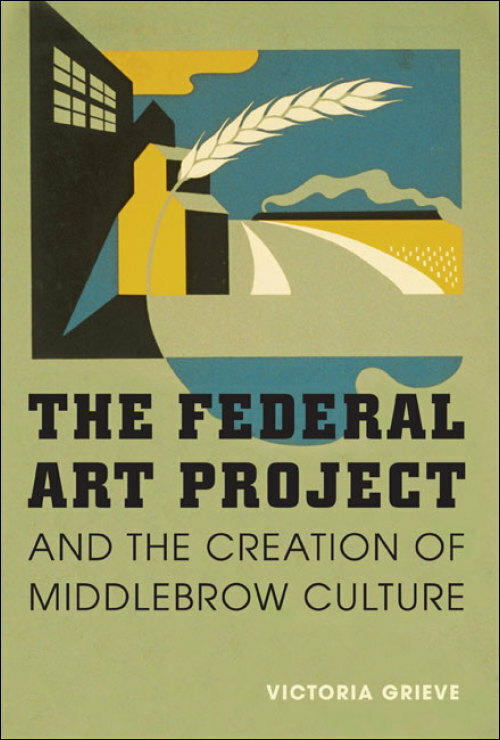 Representing more than a response to the emergency of the Great Depression, the Federal Art Project was rooted in Progressive Era cultural theories, the modernist search for a usable past, and developments in the commercial art world in the early decades of the twentieth century. In their desire to create an art for the “common man,” FAP artists and administrators used the power of the federal government to disseminate a specific view of American culture, one that combined ideals of uplift with those of accessibility: a middlebrow visual culture. 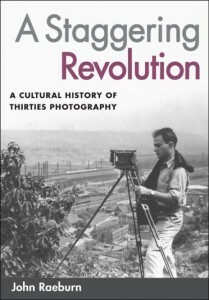 During the 1930s, the world of photography was unsettled, exciting, and boisterous. John Raeburn recreates the energy of the era by surveying photography’s rich variety of innovation, exploring the aesthetic and cultural achievements of its leading figures, and mapping the paths their pictures blazed public’s imagination. 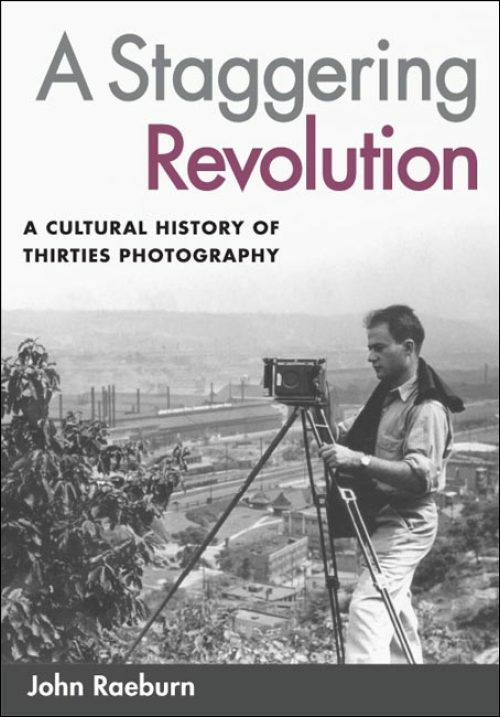 A Staggering Revolution includes individual chapters on Edward Steichen’s celebrity portraiture; Berenice Abbott’s Changing New York project; the Photo League’s ethnography of Harlem; and Edward Weston’s western landscapes, made under the auspices of the first Guggenheim Fellowship awarded to a photographer. It also examines Margaret Bourke-White’s industrial and documentary pictures, the collective undertakings by California’s Group f.64, and the fashion magazine specialists, as well as the activities of the FSA and the Photo League.